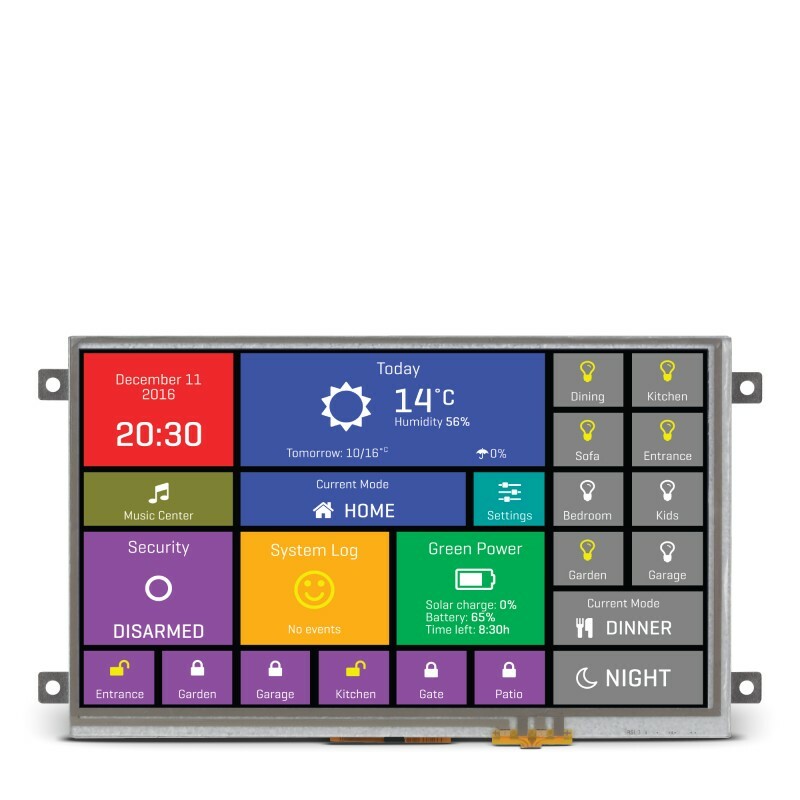 A smart display solution, mikromedia HMI 7" Res has a 800x480px color display with a resistive touch panel on the front, and a powerful FT900Q 32-bit MCU with additional essential circuitry on the back - making it a standalone but cost-effective solution suitable for industrial applications. 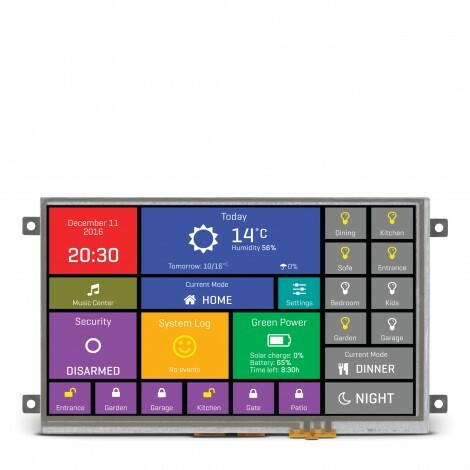 mikromedia for HMI 7" Res has a high-quality Riverdi display with 16.7M color depth and 550 NIT brigtness. 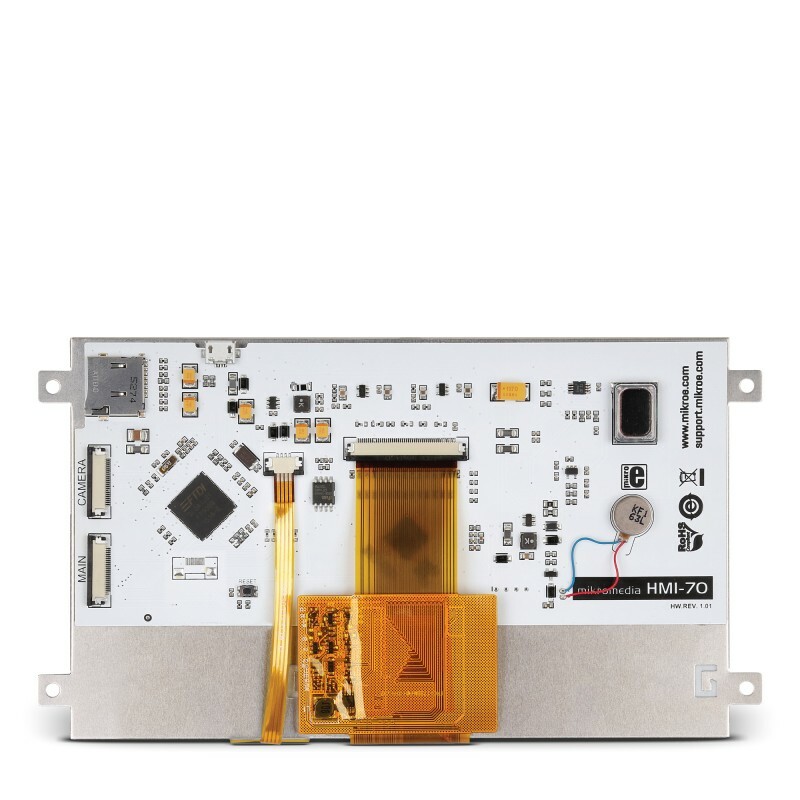 The display is driven by a FT812 graphic controller. 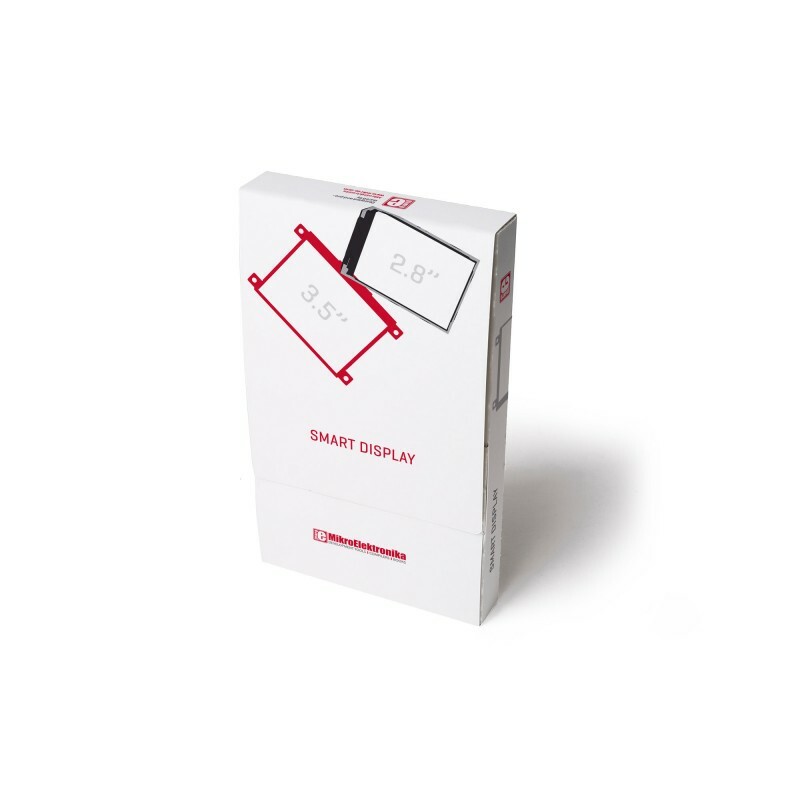 A mounting frame surrounding the screen simplifies integration.